Megan is the greatest makeup artist I have EVER had the pleasure to work with. I booked with her early, even though my wedding day was not for another year. The year quickly became busy, but Megan did not forget about me. From time to time, Megan would check in with me and give me pointers for researching wedding day looks. Unfortunately, I also have very, very oily skin. My greatest fear was having my makeup melt off my face halfway through my wedding day. But Megan made me feel beautiful, even with my skin’s own flaws! As the wedding day got closer, I had completely forgot about my wedding day trial. But Megan did not! She courteously reminded me about scheduling the trial and was so generous enough to do the trial the morning before one of my bridal events! 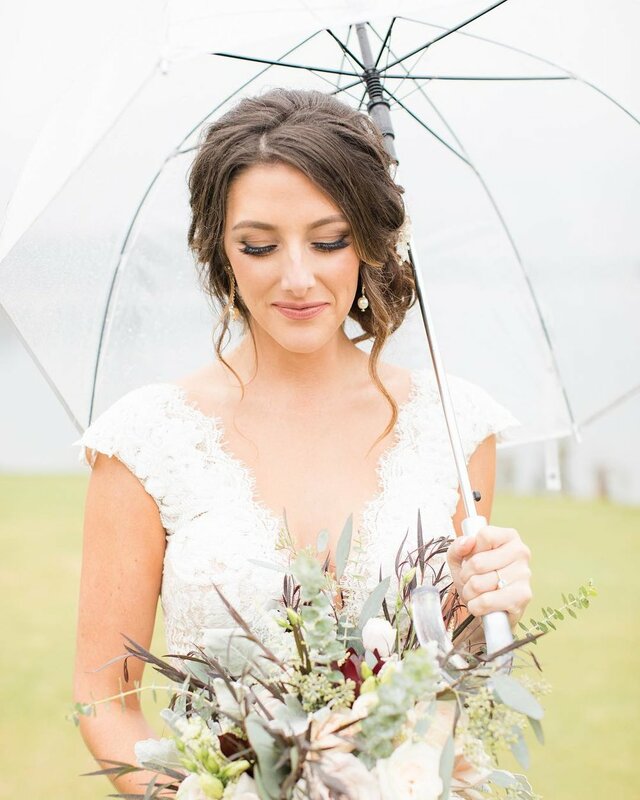 The wedding trial makeup turned out flawless, and it was easy to see why so many other woman had chosen her for such a special day. Megan aims for perfection each time, and although I was very pleased with my look, Megan was kind enough to reach out after the trial and ask to try different lipsticks for the wedding day. In something I have never seen a makeup artist do before— Megan tried on ~20 different lipsticks from a new collection and sent me photos of each one so we could find the PERFECT shade. It has blown me away that she spent so much time and attention on just one person. However, I know she treats all her clients with such professionalism and attention to detail. 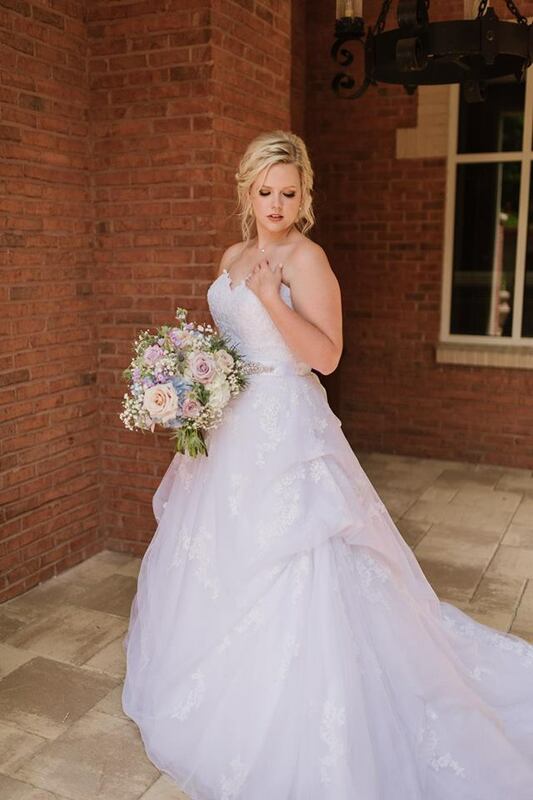 Megan did a phenomenal job with my make-up for my wedding. I asked for a natural look that would last through the night and hurricane! She is very genuine and pays close attention to detail and really listened and worked her magic for the look I wanted! I am currently working on a web show to promote the new Fox series, Scream Queens. After the first shoot we did, my cohost and I realized how badly we needed to find a makeup artist. Our makeup is usually fine, but under all the bright lights and camera flashes our facial features were blending all together and we did NOT look camera ready. We hired Megan to do our makeup for all 13 episodes of our webcast and so far we have only filmed the first two and we are already unbelievably impressed. She is great at choosing shades that best suit your complexion as well as compliment the colors in the outfits provided by our sponsor for that day. She uses all Bobbi Brown products and they stay on longer than anything I have ever used. She did my makeup this morning at 7 am and it is almost 9 pm and I still look and feel beautiful! She works with the individual concerns of each client and knows exactly how to play up different parts of the face to attract or detract attention from any particular area. A major concern for me is my eyes... I have always felt that they are too close together. Megan has this insane ability to magically separate my eyes just a tad... she is like Moses and the Red Sea when it comes to my eyes!!! I don’t know how she does it but she has just the right touch to fix my little problem. I have tried hundreds of techniques and cannot achieve what she can... she’s really got the “knack.” I would also like to note that se does not over do the makeup at all, like other artists have done to me in the past.